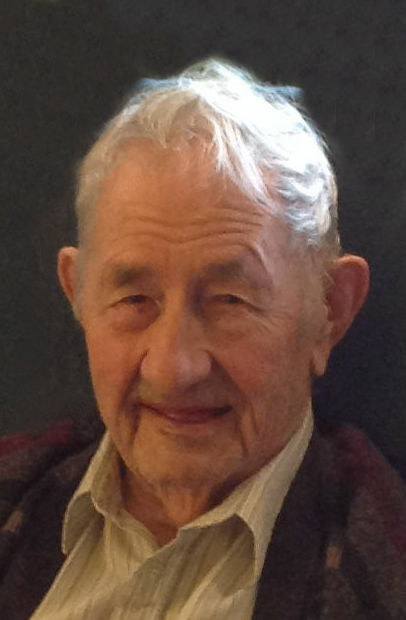 Obituary for Peter "Pete" Bentfeld | Family Care Services, Inc.
Canal Fulton – Peter “Pete” Bentfeld, 100, of Canal Fulton, formerly of North Lima, died, December 2, 2018 at the Ohio Veterans Home, Sandusky. He was born, November 24, 1918 in Fair Oaks, PA, a son of the late Charles and Mary Scherer Bentfeld. Pete worked in Maintenance at the Petersburg Creamery and served in the United States Army during WWII. He was a member at Abundant Life Fellowship, New Waterford, the New Springfield VFW and was involved with Alcoholics Anonymous in North Lima. He is survived by a Son, Jimmy (Frieda) Bentfeld of Canal Fulton and two grandsons, Michael and Fred Bentfeld. Pete was preceded in death by a son, Michael Bentfeld and four brothers, Raymond, Albert, Charles and Robert Bentfeld. Calling hours will be held from 1:00 p.m. to 2:00 p.m. on Friday, December 7, 2018 at Warrick-Kummer-Rettig Funeral Home, Columbiana. A funeral service will be held at 2:00 p.m. on Friday, December 7, 2018 at Warrick-Kummer-Rettig Funeral Home, Columbiana, with Pastor Jeff Schoch officiating. Military honors will follow at the funeral home, accorded by the Benjamin Firestone Post #290, American Legion. Burial will follow in Petersburg Cemetery.